Deliciously Savvy received product in exchange for an honest review and all opinions are 100% my own. Regardless, I only review products that I am truly interested in for myself and my family and of course for sharing those reviews with my savvy readers. Thanks for stopping by and enjoy! OK…. I have to admit that I love fried foods but have omitted them from my dinner menu as much as possible because it simply is not a healthy cooking option and it is definitely not good for the waistline. With that said, I am definitely missing my yummy fried “go-to’s” like fried chicken tenders, fried fish, French fries, fried raviolis, and on and on I can go. This is why I have been going back and forth on the idea of picking up an air fryer. I would like to still be able to enjoy delicious fried foods, but with none of the guilt because with an air fryer you can make fried foods with little or no oil involved in the cooking process. I have been checking out the different air fryers that are available and doing a bit of research on each of the brands of air fryers that I was interested in and decided to go with the GoWISE USA brand as I already own & use their Premiere High Performance Blender all of the time to make smoothies for myself and my family. 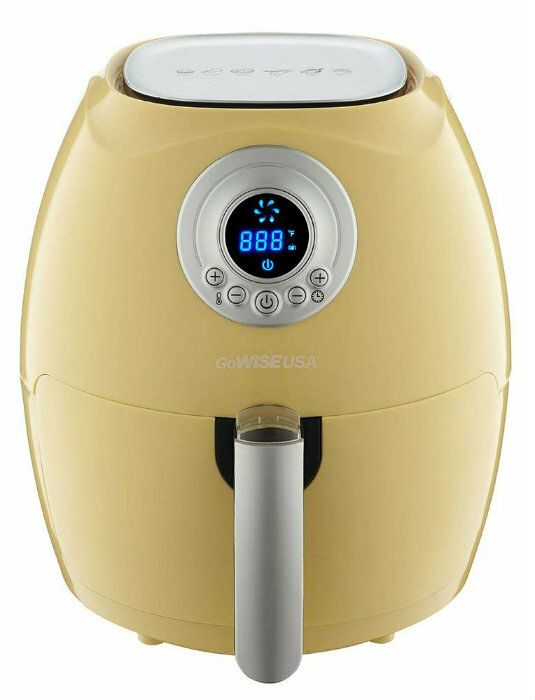 For that reason I went with their GoWISE USA Retro Collection 2.75-Quart Air Fryer in the gorgeous Majestic Yellow color as I loved the size, features and gorgeous look of the unit itself. Using this bad boy has become my new obsession as I am living a healthier lifestyle by eating and living healthy and in turn, teaching my family to do the same. 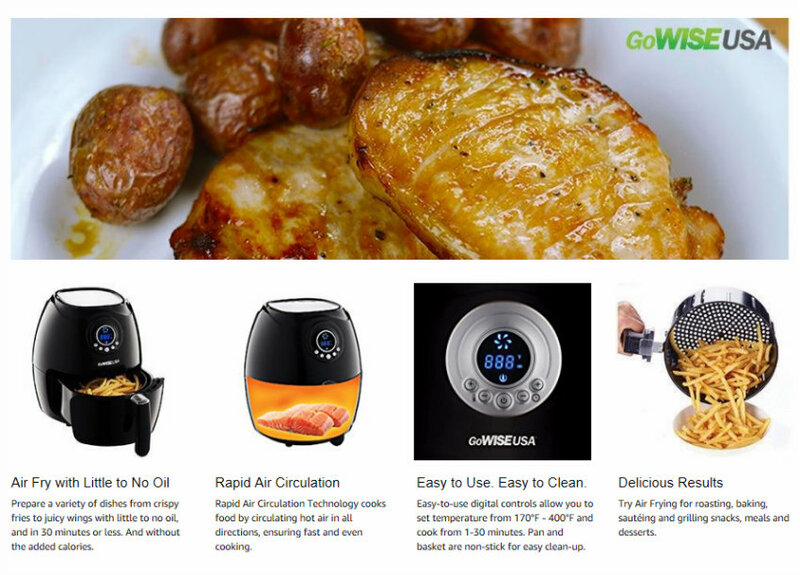 Now I have to tell you about how much I love the GoWISE USA Retro Collection 2.75-Quart Air Fryer. This air fryer works beautifully and I have made a few things with this already and with fabulous results. I made French Fries which were crispy and delicious. I have also made Salmon in the unit after finding out that I can make so much more than fried foods as you can actually roast, bake, grill and saute with it. The salmon I made was cooked with the air circulation process that the air fryer uses and turned out delicious as it was perfectly cooked and moist. Today I am making Fried Raviolis which are my favorite and I am going to take photos so that I can do a separate review showing the finished results. Take it from me… this unit cooks like a dream and so far every fried food item I have made has been delicious so I am super excited about my Fried Raviolis tonight. plus it will help to create delicious and healthy meals at home all in 30 minutes or less which is perfect for busy families. No more takeout or eating out when you can cook delicious meals at home and my favorite part is that you control what goes into every meal. I just love it. 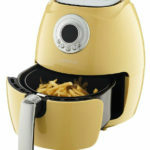 So what do you think of the GoWISE USA Retro 2.75-Quart Air Fryer? It comes in a variety of fabulous colors and it is so adorable on my counter. I love using it and am constantly on the lookout for new recipes… so if you have any, leave me a comment and tell me all about it. Also… make sure you visit GoWISE USA and see all of the other items that they have available as there are several and I love them all. Check them out on social media as well. As Always, Thank You For Stopping By Deliciously Savvy Today & Leave Some Comment Love And/or Enter A Giveaway While You Are Here. I Always Love Hearing From You! 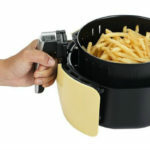 They have come out with compact air fryers and I finally gave in and bought one. I love using the airfryer you can make so many different things in them. I’ve been thinking of getting an air fryer. This review is perfectly timed for me. I love the retro look of this one. And the food produced looks very tasty. 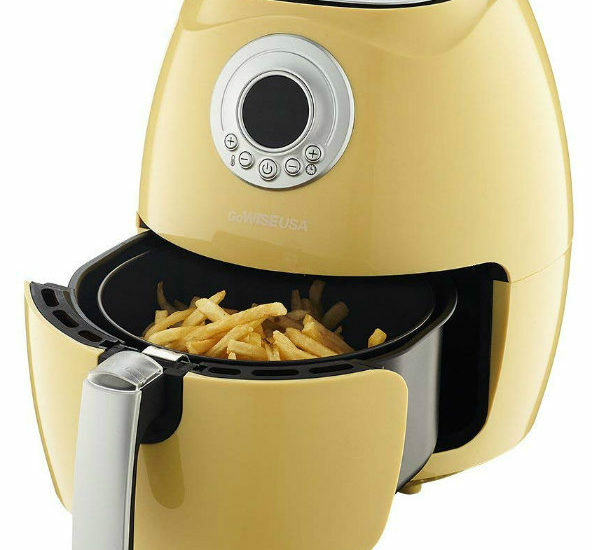 I’ve been wanting a fryer for the longest time, but an air fryer sounds even better. Yep, I need this. That is a really nice looking air fryer. I like it! I love this, I have been wanting one since I first heard about them. Your review informed me of some of the questions I had. Now I feel confident about getting one. Thank you. We use a regular fryer a lot. This sounds much more healthy. I need to get this soon! This product looks amazing. I have been wanting to try these for some time, but I haven’t gotten one…yet. I might have to now! 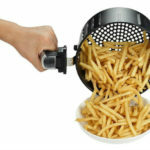 Having a heart condition this would be great for me because I love fried foods. I definitely would love to try this! To enjoy these delicious foods and they are not as loaded with calories as they would be with a regular one. And the fact that this can make Salmon. I thought it was just fried foods. This opens up an entirely new way of thinking when it comes to this. What a cute appliance! I’ve wanted to try an air fryer for so long, and the price is right on this one!